This recipe isn't the best when it comes to looks.. but when it comes to taste, it is a bestseller! Also, every household has their own take on the stuffing - so I had to post my Nani's (maternal grandma) version. Aai makes it best, and then my cousin Shubha.. Always a hit with the guests - especially if they are non-Maharashtrian. So let's sing to this old bollywood tune that tells us to go beyond looks and savor the recipe - shall we? Mix all the stuffing ingredients thoroughly and keep them covered for 10-15 mins. This helps to get all the spices mixed well - they start losing some water and that's when we are ready for the next step. 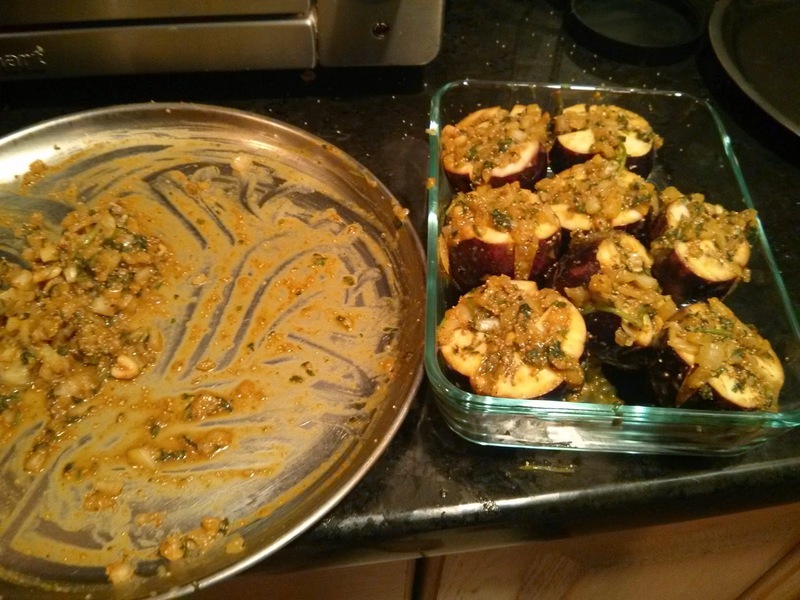 Optional step - Place the stuffed eggplants in a microwavable container with a cover on. Heat for 3-5 mins till the eggplants are half cooked. Add remainder of the masala/spice mixture to the tadka and saute for half a min. Then add the stuffed eggplants to the pan and cover on low-medium heat. If you used the microwave step, cook the eggplants for 2-3 mins carefully turning them after a couple of mins. 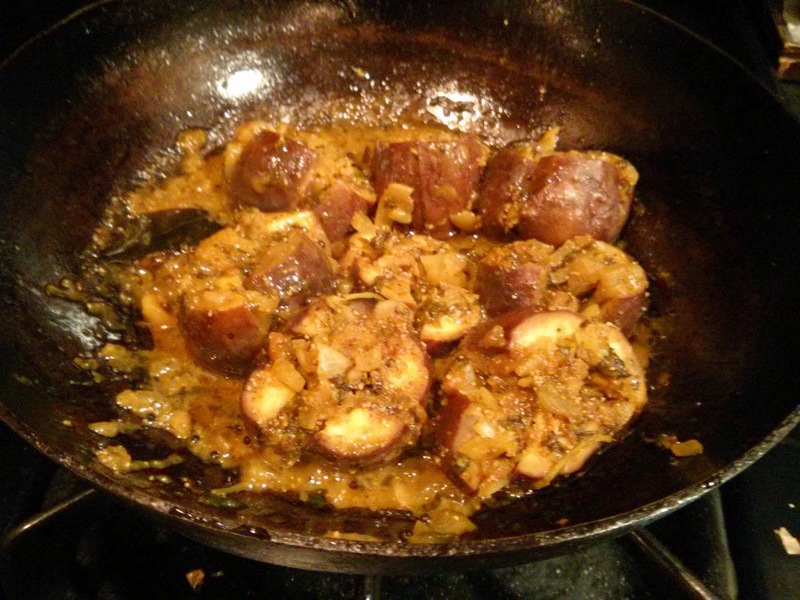 If you did not use the microwave step, cook the eggplants for 3-6 mins carefully turning them after 3 mins. FYI - I liked the eggplants cooked completely - if you like it a bit al-dente - adjust the cooking time accordingly.